A stock index or stock market index is an index used to measure the progress of a selected number of shares. If the index rises, it means that the total value of all the underlying shares has increased. The main difference between the price index and the return index. 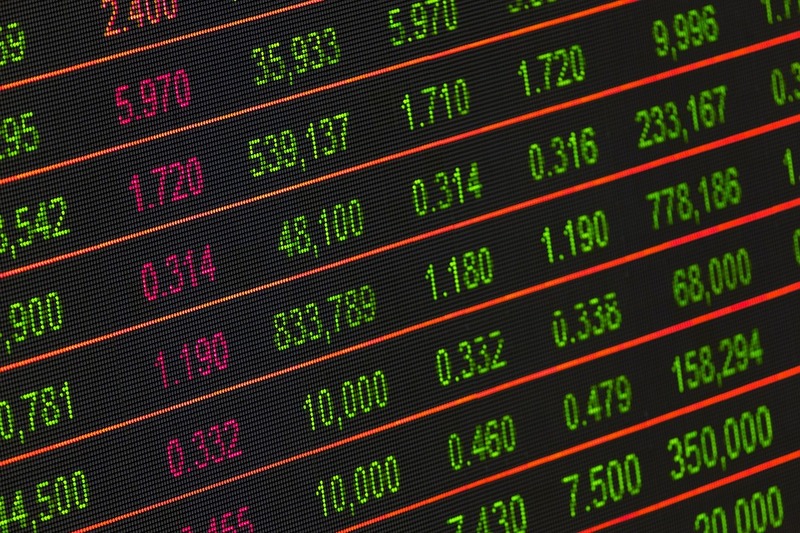 The former index type reflects the price performance of the underlying shares, while the latter also includes the shares’ dividend to reflect the actual rate of return that the investor receives. Most indices are capitalization-weighted, ie, the larger the market capitalization of a company, the greater the weight gets it in the index. There is also the underlying index in some indexes, such as list indices and sector indices. Graphical analysis includes all studies or tools that are applied directly to the graph of the price without the need for quantitative analysis. A support level is below the current price, where demand will exceed supply, and therefore the price will start to rise again. Graphically, it is represented by a horizontal line below the current price which is expected to contain any bearish momentum, and therefore the price rise. A resistor is the opposite concept to a support : a level above the current price where supply is expected to exceed demand, and therefore prices to fall. Graphically, it is a horizontal line above the current price level which should contain any upward momentum. A trend is the general direction of the peaks and valleys that reflects price action on the chart. It is the life cycle of a company in which its growth is much faster than the economy as a whole to find the value of any non-constant growth stock when the growth rate is stabilized through. Tracking stock are stocks that relate only to a particular division of a company. The owner of this usually listed shares have the same rights as the holders of other shares but they all relate to a business. The owners of the tracking stock are shareholders of the parent company, subsidiaries, or a second generation company meaning their economic destiny is likely to be closely linked to the issuer – for example, in case of imminent insolvency. The individual rights of the owners partially deviate from each other, usually tracking stock are equipped with profit participation rights that reflect the earnings generated in the specified areas. To give the correct dividends to shareholders, a separate accounting is required. However, the management remains the same. If the shares of the combined company listed on the Kenya Stock Market are undervalued, then tracking stocks can emit a successful business unit or a subsidiary to acquire more equity.